Water is the leading cause of damage to homes because it comes from a variety of sources, from heavy rainstorms to broken pipes and sewage backups. Once the water gets into the home, it will only spread further through absorbent materials and increase the amount of structural damage. Basements are especially vulnerable to flooding because they’re the lowest level of the home and are surrounded by moisture in the soil. If there is excess water in your basement, one of these five causes is most likely to blame. The tiles and foundation should be sealed during the construction process. If your basement isn’t sealed properly, water will seep through the walls from the surrounding ground over time. 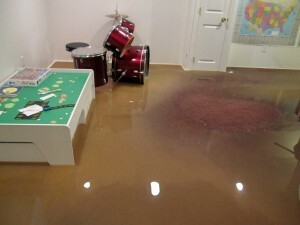 Basements that flood only after rainstorms may need to be resealed to stop the water. Drainage systems are built around homes during construction to move excess water away from the home and prevent flooding. If the tiles in the system are broken, cracked, or otherwise damaged, the water won’t drain properly. A specialist can inspect the drainage system and determine if it’s the cause of flooding. Downspouts direct rainwater away from the house and foundation. They should be at least five feet away from the building and drain towards the street or backyard. Broken, clogged, or missing downspouts mean that excess water will pool next to the foundation and seep into the basement over time. Replacement downspouts can be found at home improvement and hardware stores. 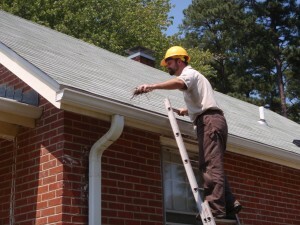 Gutters are a vital part of your home’s rain management system. They guide water from the roof to the downspouts and away from the foundation. They can easily become clogged with leaves, nuts, branches, and other debris and because they’re not at eye level, it’s easy to forget them. Clogged gutters can’t funnel water away from the home; even worse, they overflow during rainstorms and cause waterfalls that can lead to a greater chance of flooding. Be sure to clean gutters regularly and consider installing covers over the tops to limit debris that can get inside. Water supply lines run through the lower levels of homes, so if any of them break or develop a leak, the basement will become flooded. Basements are home to many appliances that can leak water, such as hot water heaters, washing machines, and water softeners. A sump pump that has been idle for years may not start when water reaches certain levels, contributing to the flooding. That’s why it’s important to check appliance connections on a regular basis and test the sump pump yearly. Excess water in your basement leads to a host of problems for your home and its contents, so it’s important to do as much as possible to prevent a flooded basement. Checking these potential causes ahead of time will save you the cost and aggravation of water damage repair in the future. 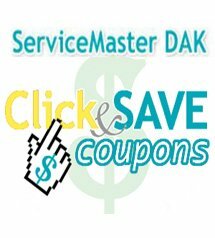 No matter how excess water got into your home or business in Lake Forest, Winnetka, Buffalo Grove, Evanston, Glenview, Highland Park, Northbrook, or Wilmette, IL and surrounding areas, you can trust the experts at ServiceMaster DAK to provide excellent flood damage restoration services. We’re on call 24 hours a day, 7 days a week to stop water from spreading and restore and repair the damage it causes. Water damage restoration costs vary, depending on the amount of flooding, the extent of the damage, and the amount of restoration necessary.